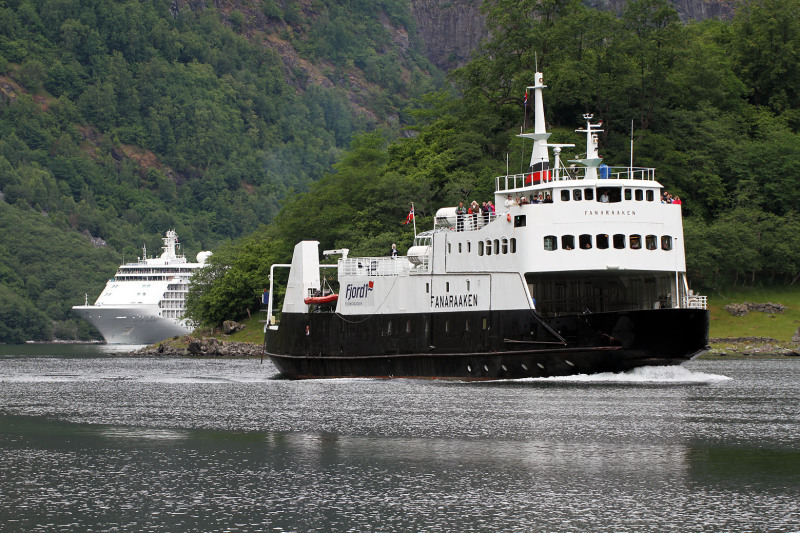 Old tired, but still very good looking carferry, followed by ultraposh cruiseliner. Both headed for Gudvangen. Photo by Tomas at Bakka. This photo has been shown 459 times since it was added to the site.